Titan Old World Spanish A4 has passed the stringent testing required for premium roofing products, earning a Class 4 impact rating and Class A fire rating. 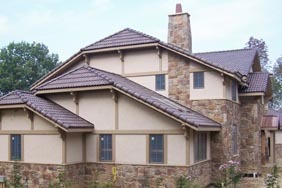 These are the highest ratings available in the roofing industry. Titan not only tests to industry standards and requirements, but does additional testing to assure outstanding performance.